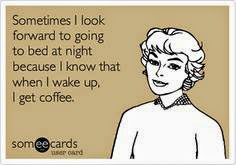 Hopefully by the time you're reading this post, you've already had at least one of your favorite coffee drink. For me, it's among the first things I do each morning, and is an essential part of my attempts at feeling "normal" or awake each day. And now that I bought an espresso machine and everything I need to make my vanilla spiced lattes at home, I can have more than one on any day I choose. That makes me VERY happy! This card was made using a kraft card base and I added a strip of Echo Park patterned paper down the middle. I added some Natural Burlap String and rusty jingle bells, and I added a kraft tag that's cut using Paper Sweeties adorable tag die called For You Sweet Cuts and the sentiment is also Paper Sweeties, and is from their You Warm My Heart stamp set. The coffee cups are from a cute die-cut set called Little Bits - Coffee To Go by Taylored Expressions. 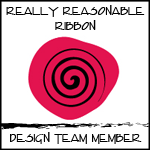 As you can see, I also added a wooden button that's tied with Red Burlap String. 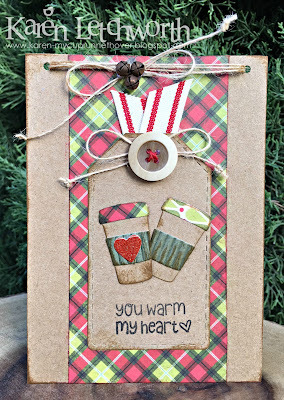 I used the Little Bits Coffee To Go coffee cups, and topped the one with a tiny Papertrey Ink die-cut red glittered heart. I used a small piece of corrugated cardboard, and all the patterned papers are from Echo Park Season's Greetings. Winter Coffee Blog Hop - Anything Coffee, Tea or Cocoa Related with a Winter theme. 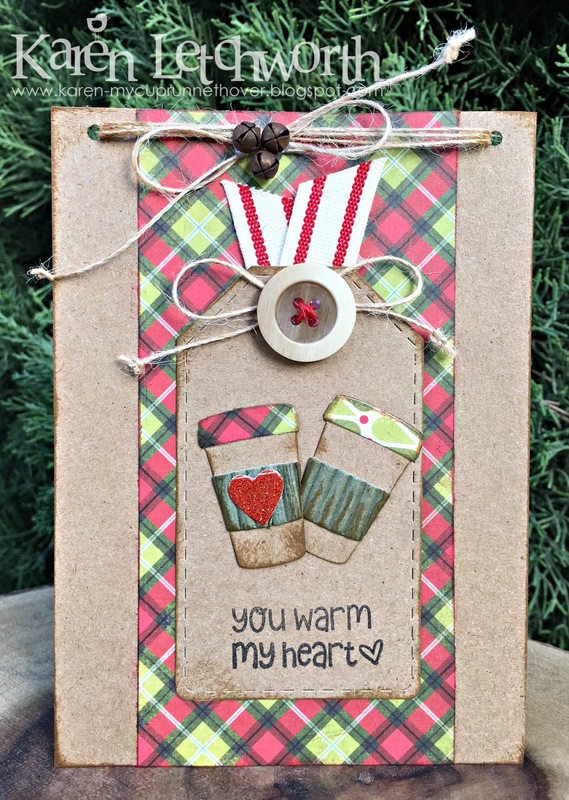 This card uses a Taylored Expressions die-cut called Little Bits - Coffee To Go. 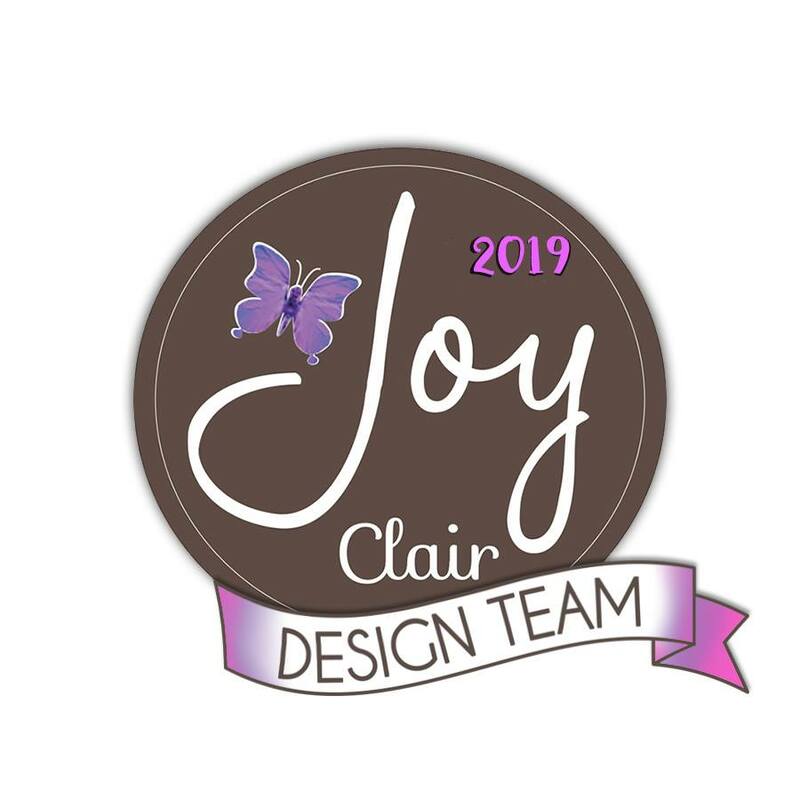 Simon Says Stamp - Wednesday Challenge Blog/Simon Says "Stitch It" - I used a stitched tag on my card. 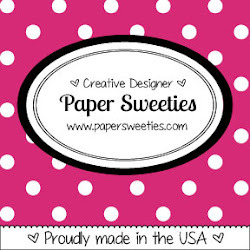 Wonderful tag with those gorgeous cups and I love the bold plaid paper too. Another adorable coffee themed card, Karen! 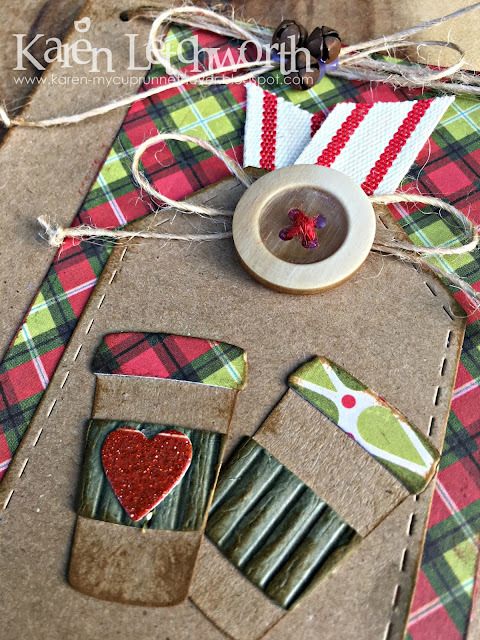 love kraft and plaid and you made one beautiful card. What a great coffee card Karen - love that pop of bright paper to contrast with kraft with, and all your wee details. Plaid and kraft! Love it! And those little to go cups... you've convinced me... need them! so pretty, love the kraft and plaid combo. I like the little coffee cups on the tags. I like how you added the thread to the button. Great job. hello karen! 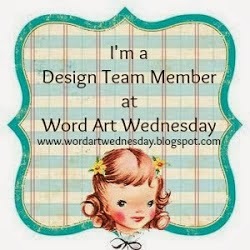 this is awesoem, luv the adorable tag and plaid...sooo fun!I am so glad you played along with us at simon says stamp wednesday challenge!